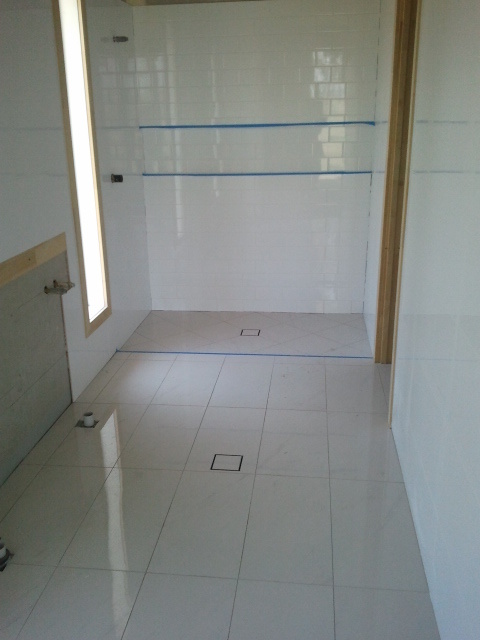 Tiles were started on Friday but it wasn't til Thursday that I decided to arm myself with choc chip biccies and waltz on site all the while worried a tradie was going to kick me off...that didn't happen and I managed to get a quick look and a few hurried snaps before leaving. 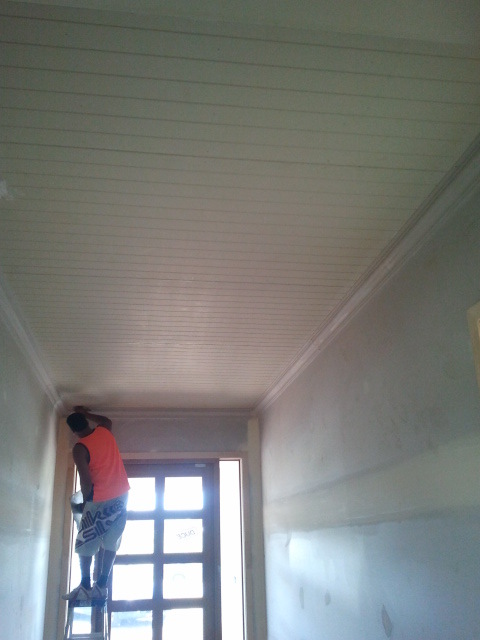 The painter said he would be there on Thursday but really the renders were there finishing up the rendering under the weatherboard and we had our cornice going in the entrance as the lining is now up as well so really not ready for the painters just yet I would say. Tiling looks as I was hoping although I wished we had gone a row or two higher. We did not go to the ceiling deliberately as I wanted there to be some grey paint in there, I know it sounds odd but I just like to see some paint in the bathrooms. 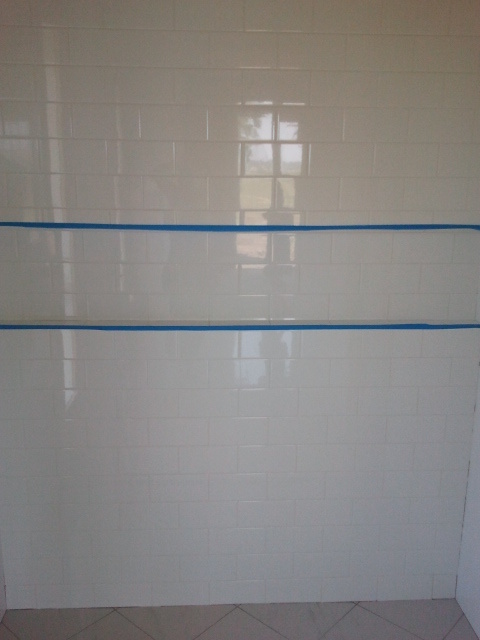 I actually got talked into having more tiling on other walls that I didn't want. 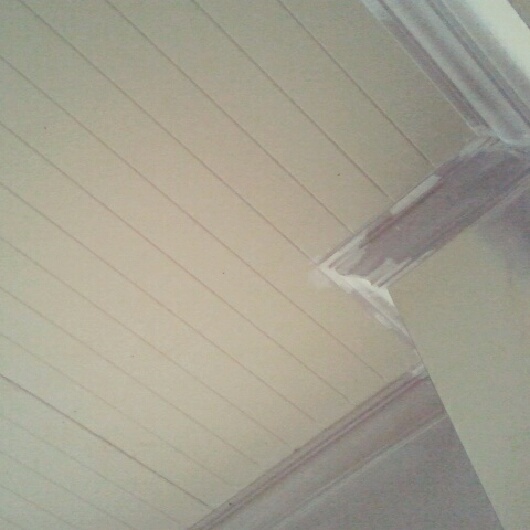 I think the "gap will look better once painted. I love the subway tiling, who can understand how something so simple and relatively cheap can look so pretty. Husband has seen pics but I told him that to truly appreciate them he needed to see them in person. I love it - want to live in the entrance. Overall happy with my tiles and grout colour choices and just hoping that it doesn't get trashed by the end of it. Wouldn't it be great if tradies took their shoes off before coming inside....haha yeah I know in the land of fairies and other mythical beings right. Might head out tomorow after work to see how the renders went. * Was reminded by husband that Kitchen is due to be installed in around a week and halfs time. Will be way to nervous to look, it has been such a difficult task to explain what I wanted so I am expecting things to be not quite what I wanted. Woo hoo Tash, looking good! Hubby's a builder and his shoes bring bits of everyone's home back to mine!